About the Book: Having just escaped from the treacherous island that was once Manhattan, Brooke, Ben, Logan, Bree and Rose make their way up the Hudson river in their stolen boat, low on fuel, low on food, and desperately needing shelter from the cold. On their tails are the slaverunners, who will stop at nothing until they capture them and bring them back. As they make their way upriver in this post-apocalyptic, action-packed thriller, on their way to try to find the mythical city in Canada, they will need to use all their ingenuity and survival skills to stay alive. Along the way they will encounter crazed survivors, roving gangs of predators, cannibals, wild animals, a desolate wasteland, and an unstoppable blizzard. They sustain injuries, get sick, and the Hudson freezes over as they do their best to salvage what they can and avoid the slaverunners’ pursuit. They find a small island and think they have found respite—until events don’t go their way. It is not until they board a mysterious train to nowhere that they find that things can always get worse. As they find themselves thrown back into an arena, they are shocked to discover that Arena Two is even worse. Thrown into a barbaric fighting stage, equipped with weapons, pitted against other teenagers—and against themselves—Brooke and the others will be forced to choose what’s important, and to make the most difficult sacrifices of their lives. Because in Arena Two, no one survives. Ever. About the Author: Morgan Rice is the #1 bestselling and USA Today bestselling author of the epic fantasy series THE SORCERER’S RING, comprising seventeen books; of the #1 bestselling series THE VAMPIRE JOURNALS, comprising twelve books; of the new vampire series VAMPIRE, FALLEN; of the #1 bestselling series THE SURVIVAL TRILOGY, a post-apocalyptic thriller comprising three books; of the #1 bestselling epic fantasy series KINGS AND SORCERERS, comprising six books; of the new epic fantasy series THE WAY OF STEEL; and of the new epic fantasy series OF CROWNS AND GLORY. Morgan’s books are available in audio and print editions, and translations are available in over 25 languages. 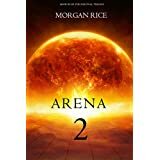 Morgan's newest releases are ONLY THE WORTHY (THE WAY OF STEEL--BOOK #1) , the debut of a new epic fantasy series, SLAVE, WARRIOR, QUEEN (OF CROWNS AND GLORY--BOOK #1), the debut of another fantasy series, and ARENA 3, the conclusion of the Survival Trilogy. TURNED (Book #1 in the Vampire Journals), ARENA ONE (Book #1 of the Survival Trilogy), A QUEST OF HEROES (Book #1 in the Sorcerer's Ring) and RISE OF THE DRAGONS (Kings and Sorcerers--Book #1) are each available as a free download on Amazon! BEFORE DAWN (Vampire Fallen--Book #1) and ONLY THE WORTHY (The Way of Steel--Book #1) are available as a free download via KU. Morgan loves to hear from you, so please feel free to visit www.morganricebooks.com to join the email list, receive 4 free books, receive free giveaways, download the free app, get the latest exclusive news, connect on Facebook and Twitter, and stay in touch! As always, if any of you are suffering from any hardship, email me at morgan@morganricebooks.com and I will be happy to send you a free book! 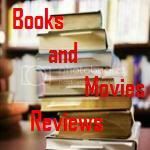 My Review: What a thriller! This is the second book of this trilogy and the level on excitement increases dramatically. Our heroine faces new challenges after escaping from Manhattan with Logan, Ben, Bree, Rose (and Penelope). Being followed closely by the slaverunners and trying to survive in the cold weather, after some adventures in a island on Hudson River they embark in a train heading North. Captured again, they are conducted to a new Arena, where they face dangers beyond of what they can imagine. But this time they count with the help of a young lady (Flo) and her brother (Charlie) and although reticent at the beginning, they ended up forming a team that defies all odds and survives the first day of fighting all together. But what comes next is even worse and after the second day it is a miracle that they are still hanging there. The author managed to bring into this story more characters and situations that will keep you hooked from the very first page until the end and you will want more and more. Savor each turn of page, because it is really worth it! I recommend this book to the permanent library of all readers that enjoy a well written thriller, You will not be disappointed. I can hardly wait to start reading the third and last book of this trilogy.